A serious motor vehicle accident can turn your world on its head and leave you wondering how you will pay the bills. Michigan’s No-Fault law is unlike any other auto accident law in the country. A skilled Michigan motor vehicle attorney can help you navigate the process and get the relief you need. After a serious auto accident, an increasing number of injured motorists are finding their no-fault insurance claims denied. At the Macomb Law Group, our experienced car accident lawyers know what to do to hold insurance companies accountable in First Party No-Fault lawsuits. We can help you get your medical expenses, lost wages, attendant care and replacement services covered by your insurance. 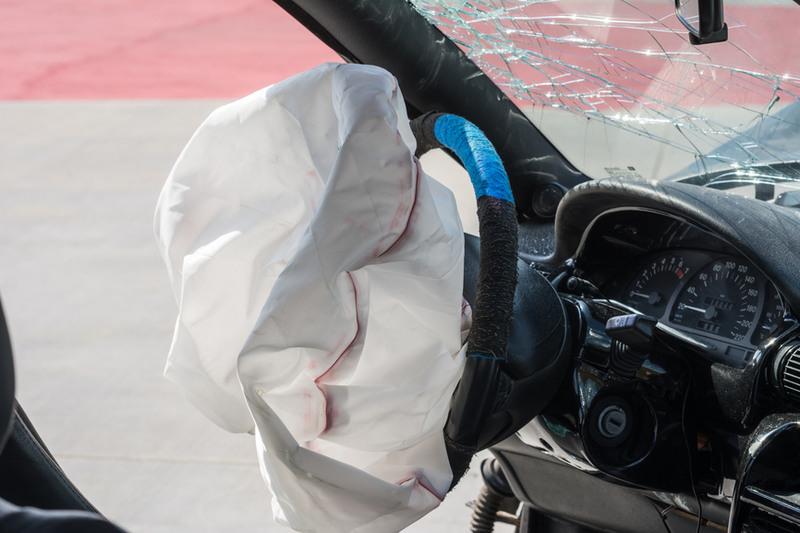 When a motor vehicle accident includes death, disfigurement, or a serious impairment of a bodily function, insurance benefits often aren’t enough to compensate for your loss. Permanent disability, pain and suffering, and other non-economic losses aren’t covered by your No-Fault insurance. In those cases, Macomb Law Group attorneys can help you file a Third-Party Lawsuit against the at-fault driver, to get you a more complete recovery. When a motor vehicle accident includes a semi-truck, tractor trailer, or other commercial vehicle, you need a lawyer with in-depth knowledge about federal and Michigan truck regulations. In truck accident litigation, success often hangs on a careful review of the truck driver’s maintenance and travel logs. When these logs are missing, or if they show violations of the laws controlling truck drivers, your truck accident attorneys can use those violations to prove negligence and get you Third Party damages for your serious injuries. Michigan bikers are at risk of serious injuries every time they hit the road. Motorcycle accidents can often be life-threatening. When drivers don’t pay attention, or bad weather makes riding treacherous, a serious motorcycle crash is often the result. When that happens, you need motorcycle accident attorneys who know what parts of the Michigan No-Fault Act and Motor Vehicle Code apply to your situation. At the Macomb Law Group, we’ll review the details of your case to help you make the most of your motorcycle accident lawsuit. You don’t have to be in a motor vehicle to take advantage of Michigan’s No-Fault law. Pedestrian and bicycle injury accidents are often severe, or even fatal. When a motor vehicle strikes a walker, jogger, or cyclist, it is up to the motor vehicle accident attorneys at the Macomb Law Group to dig into the situation and bring claims against the right insurance companies. When injuries are severe, injured pedestrians and cyclists can also go directly to the drivers who hit them for long-term support and non-economic damages to compensate you for your pain and suffering. At Macomb Law Group, our experienced motor vehicle accident attorneys put our clients’ needs first. We know how disruptive the injuries and litigation process following a car accident can be. We care about our clients, not just their cases. If you have been seriously injured in a motor vehicle accident, contact the Macomb Law Group for a free consultation, and let us get to work for you.